Yet there were differences. Magnetic poles always came in matched pairs, and steel needles could be magnetized by stroking them repeatedly in one direction by the pole of another magnet, or a natural "lodestone" magnet. Soft iron (like the kind used in paperclips and baling wire) also became magnetized when touched by a magnet, but this magnetization was temporary and ended when the magnet was removed. The Earth itself was a giant magnet. This "geomagnetism" was a boon to sailors in mid-ocean, but magnetic north differed by a few degrees from astronomical north, and its direction slowly shifted over the decades. Edmond Halley--remembered for his comet--came up with an ingenious explanation of that slow variation: Earth consisted of layers, spheres within spheres, each magnetized differently and rotating slightly differently (it was more complicated than that). Then around 1800 Alessandro Volta invented the electric battery, and scientists in many countries began studying its electric currents. 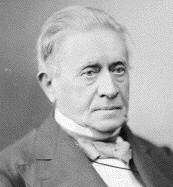 One was a Danish scholar, Hans Christian Oersted, professor of science in Copenhagen and personal friend of Hans Christian Anderson, spinner of folk tales--e.g. "the ugly duckling" and "the little mermaid". One evening he invited a group of friends to his home, to show them some science demonstrations (more than one version of the story exists). With his "voltaic pile" he drove an electric current through a metal wire, showing that it heated up. On the same table, for another demonstration, he had a magnetic compass, and to his surprise he noted that every time the battery was connected, the magnetic needle rotated to a different position, returning to its north-south orientation when the current stopped. He did not point it out to his visitors, but after they left, he satisfied himself that the effect was real. Michael Faraday was born in England I 1791, to a family of a blacksmith. His formal education stopped early, after which he was apprenticed to a bookbinder, giving cheap labor in return to learning a trade (Ben Franklin was similarly apprenticed to his brother, a printer). As books came to the shop to be rebound, Michael found opportunities to read them. Among them was a volume of the Encyclopaedia Britannica, summing up what was then known about electricity. Anothe bright light of British science in the early 1800s was Humphry Davy, who "lived in the odium/of having discovered sodium." He did so by passing an electric current through molten table salt NaCl--salt dissolved in water would not do, because any sodium atoms separated break up water into hydrogen and oxygen, then recombine with the chlorine. He similarly separated potassium from its salt Kcl, also invented the extremely bright electric arc lamp, a safety lantern for coal miners and more. Not long before that, the USA gained its independence from Britain, and one supporter of the crown ("tory") in that war was Benjamin Thompson of Rumford, near Boston. Thompson had to flee to England and later acquired the title "Count Rumford" in the service of a German prince. With some scientists, Rumford founded the "Royal Institution" in London for promoting science in Britain, and Davy gave there popular public lectures on the world of science. (The Royal Institution still exists, and includes now--among others--a museum devoted to Faraday). Faraday's main asset was his clear intuition, which brought his lucid style in writing and lecturing. He also excelled in chemistry, kept detailed notebooks and was active in the Sandemanian church. To visualize magnetic forces, he imagined space around a magnet filled with a huge bundle of lines each of which, like a drawn arrow, had a definite direction, giving at any point the local direction of magnetic force. That is, the direction in which the north-seeking pole ("N pole") of a freely suspended compass needle would point, and in which a free-floating magnetic N-pole would be pushed by magnetic forces. He named them magnetic lines of force, though nowadays "magnetic field lines" is the usual term. This ambiguity still persists. Yes, they are just a visualization, pure mathematical abstractions. But they are also uniquely useful, in applications such as labeling the motion of electrons in space near a magnet. They seem to give only the direction of the magnetic force, not its strength--but their global configuration allows strength to be deduced, since they cluster more densely wherever the magnetic force is stronger. A related concept, "magnetic flux," is extremely useful in designing machinery. And yes, space around electric currents and charges, as we see it today, is not really empty but has specific properties (such as energy density). Today we call such modified space a "field"--a magnetic field, electric field or electromagnetic field. Many of these ideas started with Faraday's "lines of force," though (as discussed later) they were also foreshadowed by the study of fluids. As Oersted demonstrated, an electric current in a wire also created magnetic forces, but in that case the field lines were closed loops around the current flow. Since compass needles tends to line up in the direction of the local field line, this explained why Oersted observed them trying to become oriented perpendicular to the wire. Field lines also trace the force on an isolated magnetic N-pole. Such isolated poles do not exist, but it is possible to observe forces on them if the corresponding S-pole is far enough to be hardly affected. In 1821, after Oersted had published his findings, Faraday (probably with Davy's advice) devised a clever experiment to do so. In a goblet filled with mercury--a dense metal liquid at room temperature and conducting electricity--Faraday immersed a long iron bar magnet (iron floats in mercury). One end of the magnet (say, the S-pole end) was tied flexibly to a hook at the bottom, while the other floated up at an angle, poking out near the rim of the goblet. A vertical metal rod held by a stand poked into the middle of the goblet and connected to one side of a "voltaic pile" electric battery, while the other side was wired to the mercury at the edge of the goblet. When the circuit was closed, a current flowed through the rod, creating loops of field lines, and the floating N-pole end of the magnet circled around them. By Newton's 3rd law of mechanics, all forces act symmetrically: whenever the current exerts a force on a magnetic pole, the pole exerts an opposite and equal force on the current. This allowed Faraday to demonstrate the reverse process as well: the magnet was now vertically fixed along the axis of the goblet, while the rod conducting the current hung loosely from a supporting stand, at an angle, its tip floating near the edge of the goblet. This time, when the battery was connected, it was the rod that rotated around a cone. In a way, these were the first electric motors--though not very efficient ones, since the currents they required were rather large. From experiments like this, Faraday devised his "right hand rule": stretch your right hand thumb and bend the other four fingers. If the thumb points in the direction of the current, the fingers curl the way field lines do around the wire. By the 1800s, a lot had been learned about light. Eyeglasses, telescopes and microscopes were in use--all based on the property that light slowed down in transparent materials. It was known to spread as a wave, propagating in empty space at about 300,000 km per second--a velocity nowadays denoted by the letter c--and slightly more slowly in air. A wave is a spreading disturbance associated with an oscillating phenomenon (mathematics has a more precise definition), giving it a wavelength λ (lambda, Greek lower case L), and a frequency ν = c / λ, the number of up/down oscillations per second when the wave passes any point in space (ν is nu, the Greek lower case N). Light also has its wavelength, but it is very small, as indicated by the sharpness of visible images. Only with very small objects, of size comparable to a wavelength, is the image fuzzed out. With half-closed eyes, in bright light, we see "floaters" in our eyeballs, specks of dust or short threads in the eyeball fluid, and these indeed are "fuzzed out" by wave effects, to tiny bright circles inside dark circles, or bright threads between dark parallel borders. The particles are actually too small for details to show up, all we see is the pattern of light waves they produce. Microscopes and telescopes similarly have limited powers of magnification depending on wavelength, beyond which one only gets magnified blurs. Patterns of light that has passed a thin slit, the colors of patches of kerosene floating on water (whose thickness is comparable to the wavelength λ, dependent on color) or (these days) the colors reflected by the narrow grooves of a computer's compact memory disk--all these are related to the wave nature of light. Sound in air is a pressure wave, advancing in the same direction as the force it produces. Light is altogether different, a "transverse wave" with effects in the directions perpendicular to its advancing front--like a sideways jiggling of a bowl of jelly pudding, or certain types of earthquake waves. Ordinary light vibrates in all directions, but certain crystals (known to Faraday) can separate vibrations into components polarized in two directions, perpendicular to the advance of light and to each other. The human eye can barely detect any difference, but Polaroid eyeglasses with crystals embedded in mutually perpendicular directions can separate two differently polarized images, and thus give us 3-D film images. Faraday also knew that light reflection from transparent surfaces (but not from ordinary mirrors with thin metal coating!) depended on the polarization of its components (in reference to the direction of the source), and that the blue color of the sky, from scattered sunlight, also had a preferred polarization, depending on the location of the Sun. Polarized waves are somewhat like waves propagating on a long rope when one end is vigorously shaken. Shake the end up and down, and the waves are all in a vertical plane. Shake it sideways, and the waves are horizontal. And when the shaking is in random directions, so are the waves, though a vertical slit (like a polarizing crystal) will only allow vertical waves to pass, and a horizontal slit, only horizontal ones. This beginning of the electromagnetic theory of light occurred in somewhat unusual circumstances. Faraday was schedule dto introduce a Friday lecture at the Royal Institution by Charles Wheatstone, remembered nowadays for his "Wheatstone bridge" for measuring electrical resistance (his talk however was on a timing device). Wheatstone came to the lecture hall, but developed an anxiety and left again before the talk began (allegedly, since the it has been customary at the Royal Institution to lock speakers in a room half an hour before the presentation). The complete idea of an "electromagnetic wave" propagating in what is otherwise empty space was later correctly worked out by James Clerk Maxwell, and it fit all known properties of light; the velocity of propagation was a natural consequence of the two basic laws, cited above. And we no longer claim that the waves propagate in some "aether" filling space, because that would be a most unusual substance, one whose motion was unobservable. We just call the environment of propagation "space"--sometimes "space-time", or simply "the vacuum." This section tries to introduce basic concepts without their mathematical details. Read carefully, but feel free to skip whatever seems dense (but not "remember the right hand"). Oersted, Ampere and Faraday showed how an electric current could create a magnetic force. Joseph Henry, first secretary of the (then brand-new) Smithsonian Institution in Washington, DC, may have been the first to wrap a coil of insulated wire around an iron rod, connect the ends of the wire to a battery, and show that the rod became magnetized--an electromagnet, a useful device for electric doorbells and all sorts of applications. Seek an inverse process--wrap a coil of insulated wire around a bar magnet and check whether any current emerges from its ends--and no, there isn't any. However, a magnet and an insulated coil could produce a brief burst of electric current in the brief instant when they were brought together. For instance, it the coil is wrapped around a cardboard tube, which was then quickly slipped over the bar magnet. The burst flowed in one direction when the tube was slipped on, and in the opposite direction when it was lifted off again. Current flows were reversed when connections to the coil were reversed, or when it was slipped on and off from the other end of the bar magnet. It was a new way of generating an electric current. With a battery, a circuit started at one terminal of the battery and ended at the other, and the voltage clearly originated inside the battery by some chemical process. Here no specific location existed where the voltage originated, though in other ways it behaved like a battery's voltage, e.g. each part of the circuit satisfied Ohm's law. It was just that the voltage source was distributed around the circuit. Today we call such a distributed voltage an "electromotive force" or emf for short, a term which actually goes back to Volta. It made no difference if the coil slid over the bar magnet or the bar was inserted into the coil. The process was named electro-magnetic induction and was discovered by Faraday in 1831. Faraday used a ring-shaped iron core, with two separate coils around it. When a current was driven through one coil (turning the core into an electromagnet), a "secondary current" briefly flowed through th second, and similarly if the current was turned off. Joseph Henry, secretary of the Smithsonian, may have observed induced currents at the same time, but did not follow it up. This was actually the first elctric transformer, but transformers did not reach their practical and essential role until fifty years later, when alternating current was introduced. Did such a thing exist as empty space? In early times, space which contained no material was deemed empty and devoid of properties. Today's definition is broader: properties are ascribed to space if something merely can be observed there: such space is called a field (or is said to contain a field). Space around the Sun can be deemed to contain a gravitational field because, according to all that is know, if a grain of sand (say) were placed there, it would sense a gravitational pull and move accordingly. I do not know when scientists started using the term "field" to denote space modified by various causes. By the same argument, space modified by the presence of magnets or electric currents is a magnetic field, by the presence of electric charges an "electric field" and by more complex interacting sources of electricity and magnetism an "electro-magnetic field." The concept of fields helps balance inputs an outputs. The Sun and other stars emit energy (as light) at a tremendous rate. Where does that energy go? The small fraction which hits Earth provides life-maintaining heat and drives flows of air and water in the outer layers of Earth, but the majority just keeps going into the darkness of space. By ascribing that energy to an electromagnetic field, energy is formally conserved. Mind you--this field is defined by forces which only may be sensed if some object is placed in their path. Is physics juggling the books on energy balance? Perhaps, but so far the idea of fields remains consistent. Does a tree falling in the forest make a sound if no one is listening? Does the answer make any difference? A vector, it its turn, is a quantity which has a direction in space as well as magnitude--velocity for instance, or force. Vectors may be viewed as 3-dimensional generalization of numbers--telling, for instance, not only how fast a bullet is fired, but also in what direction. They can be added and subtracted, as told in the section devoted to them (read it! ), and also multiplied and generalized in several ways, mostly left undiscussed here. Vectors in equations are traditionally denoted by bold face letters, setting them apart from mere direction-les numbers ("scalars"). Assign to the result the direction perpendicular to both B and L, that is, perpendicular to the plane of these two vectors. Of the two opposite directions that qualify here, choose the one that satisfies Faraday's right hand rule. The simplest and earliest method of measuring electric current uses the tangent galvanometer. A flat coil of insulated wire is wound on a rigid frame, held by a stand in a vertical position. In the empty space in the middle of the coil a magnetic compass is mounted horizontally, and initially the coil is lined up so that is plane is vertical and in the north-south magnetic direction, the same as the magnetic needle. Now insert the coil in the circuit being measured. The magnetic field of the current now tries to swing the needle 90 degrees, to point perpendicular to the coil. The position at which it settles will represent a balance between the north-south field of the Earth and the east-west force of the coil. That angle better be close to 45 degrees: If the effect of the coil overwhelms that of the Earth, accuracy is poor, though it can be improved by adding a known by-pass resistor so that (knowing also the resistance of the coil) only a known fraction of the current passes the coil. If the force of the coil is barely enough to move the needle off the north-south direction, the instrument is not sensitive enough. This early instrument was not too practical, though students in labs may practice with it. It depends on the Earth's magnetism (whose accurate measurement was a separate task--first achieved by Gauss), which is variable and usually off-horizontal, its sensitivity depends on the coil and the current being measured still requires a calculation. Still, it provided an early application of Oersted's discovery. Its main components (be sure to identify the main ones before continuing!) are a strong permanent U-shaped magnet with concave pole pieced and a small rectangular pivoted coil ABCD, around which fine insulated wires are wound. The coil itself is shaped like a small flat box without top or bottom, and the pivot EE' crosses its middle, allowing it to rotate (to some extent) in the space between the pole pieces. Other parts are insulated wires connected loosely to the coil (near the pivot, so as not to interfere with rotation, a pointer attached to the axle, with its tip in front of a dial indicating the current strength, a thin spiral spring defining the rest position of the pointer, and a small peg at the edge of the dial, stopping the pointer from moving too far--within (typically) 40-80 degrees of its rest position. The pole pieces end just short of the coil, and they channel the magnetic field lines to be perpendicular to the coil's positions. A cylinder of soft iron fills most of the space inside the coil and helps even out the magnetic field (and give more inertia to the coil). The operation is best understood if the rotating coil is viewed from above; let the current flow around the frame, in the direction (say) from A to B. With the magnet's polarity as drawn, by Faraday's rule of the right hand the magnetic force on the current will lift side AD and push down side BC. Since these are on opposite sides of the axis, the net effect would be to rotate the frame and its attached pointer, until the resistance of the spring stops it, at a position depending on the strength of the current. The forces on sides DC and AB do not contribute any rotation, they are parallel to the axle (plus, the currents are opposite so the forces cancel). Suppose the full deflection corresponds to 10 microamperes (μA). Working as an ammeter, the galvanometer uses a choice of bypass resistors ("shunts") allows bigger currents to be measured. For instance, one having only a millionth of the resistance of the coil (or rather 1/999,999 of it--though lab instruments are not accurate enough for the difference to matter) multiplies the readings of the dial a million times--a deflection of a full dial now indicates 10 amperes. The instrument (including shunt) is inserted in series with the current being measured, and for very small currents, with no shunt, the resistance of the galvanometer must be taken into account. On the other hand, suppose voltage between two points is measured. The instrument is connected "in parallel" between those points (drawing below) and includes a large resistor. The resistor greatly limits the current drawn from the main circuit, and thus minimizes the interference generated by the measurement. For instance, suppose our galvanometer with full deflection at 10 μA) has an added resistor of 10,000,000 Ω ahead of it. Now a voltage of 100 Volt will create a full-scale deflection, 20 volt a deflection of 1/5 of the dial, and so forth. No, not yet... but we are getting close! The wires leading to the coil should not get twisted, so they can't lead simply to the outside. Instead, cover a section of the axle with an insulating cylinder, and on it two metal rings, each divided in half by a small gap. The halves on one ring are connected to two ends of the coil in one order, on the other ring, in opposite order, and small leaf springs connect them to a battery. Suppose the coil is connected so that the force rotates the axle clockwise. When the wires are pulled towards the poles of the magnet almost as far as they can go, the leaf springs encounter the gap and reverse the connection. Now the sections AD and BC are repelled by the pole closest to them, and attracted to the opposite one, and if a small flywheel keeps them spinning past the gap, the rotation will continue. Some DC motors operate like this, but with greater efficiency. Why one square coil and not two perpendicular to each other for stronger force (The split ring will need more gaps), or even more? Why not fill the space inside the coils with iron, which concentrates the magnetic force? Why not replace the permanent magnet with an electromagnet, which can provide 4 regions of concentrated magnetic field lines, or more--to pull-repel the coil several times in the cycle? Why leaf springs and not carbon rods ("brushes") pushed by springs, for better and broader contacts? Do all these and you will be well on the way to designing electric machinery. This section is not meant as an introduction to electric technology, so we stop here; but electric machinery has become a huge field, which keeps expanding. Electricity nowadays can drive cars, railroad engines, tanks and many other useful mechanisms, of all sizes.